While NBA Live 15 has been getting all the hype and even more recently delays, the other NBA basketball entry has been quiet. To damned quiet for my tastes. Seriously there really hasn’t been much shown or talked about regarding NBA2K15 and that’s a shame since it definitely looks like the better game and if the past is any indication it will also play better than NBA Live 15 as well. Well thankfully there has been some footage of the game in action, thanks to Youtuber “Regular Dave. Sadly he doesn’t mention which system this is playing on and there isn’t any indication of which from the footage, but on thing is for sure… this looks great. Definitely looking forward to this being released very shortly. 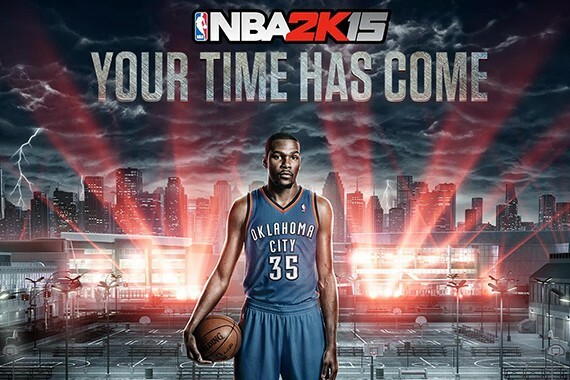 NBA2K15 releases on October 7th, 2014 for the PS3, PS4, Xbox 360, Xbox One and PC.